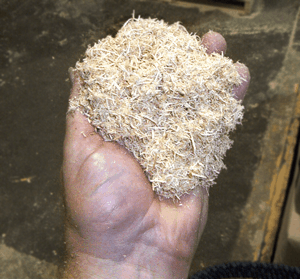 BarnSorb® Cattle Bedding is finely ground, all-natural aspen fibers used for contact bedding material under cattle. It is highly absorbent, helps to keep cattle cleaner and drier and can be used in gutters to help absorb liquids. Call for FREE Sample Bag: 866-934-2377.